An article for children published in the May/June 2018 edition of the online magazine Kid's Imagination Train (Vol. 6, Issue 3). Photo by Kevin Risk. 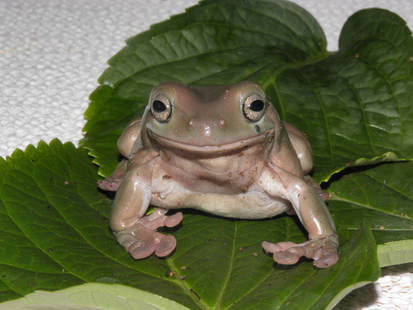 This is an article for children in grades 4-6 with information about caring for one of the more popular pet tree frogs, the White's Tree Frog. A short story for children published February 2nd, 2014 on the Alfie Dog Limited (Fiction) website. Illustration by Kevin Risk. 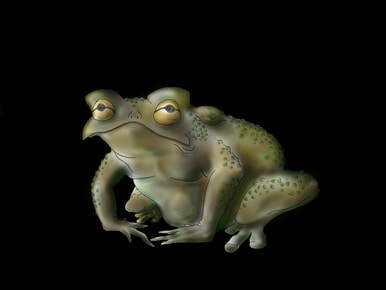 No longer available for download on Alfie Dog Ltd.
Sam finds a toad and names it Jake before donating it as a class pet. Through Jake, the class learns about toads in the wild, and that Jake has a surprise in store for all of them! An article for children published in the 2011 Winter edition of R.E.A.L. : The Canadian Kids’ Magazine. Photo from Season 1 (1995) of Once Upon a Hamster. 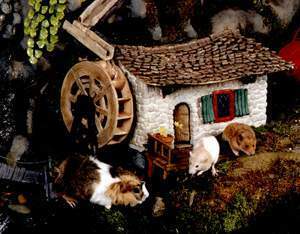 This is an article about Animal Wranglers and their work with animals, including the animal actors from Tales from the Riverbank, Hammy Hamster and Once Upon a Hamster.